Below are randomly selected BMW related videos from youtube.com, these videos are not publish by malatbimmer.com. Please seat back and enjoy. Danke! Dear all members and vistors. 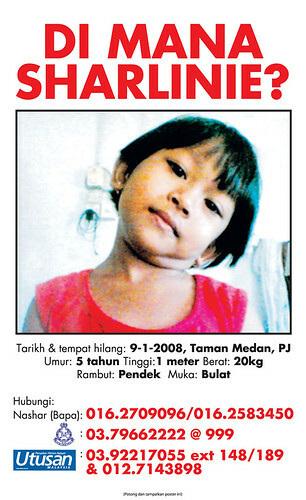 We urge you tho help the nations of finding Sharlinie. The captors is still at large and we hope Sharlinie is still with us. Please help us find her. To all parents and guardians, please look after your children closely even go for shopping or play in the park. We can't stop crime from happening BUT we have the power to prevent it. PLEASE SNAP THIS POSTER AND KEEP IN YOUR PHONE GALLERY. This will help you to contact authorities on the spot. THANK YOU ALL. Get your theme t-shirt by placing order today. Available in June 30th. Order today and get early bird price. T-shirt comes in One set 2 design. Radical and Bimmerholics all in 1 pack.